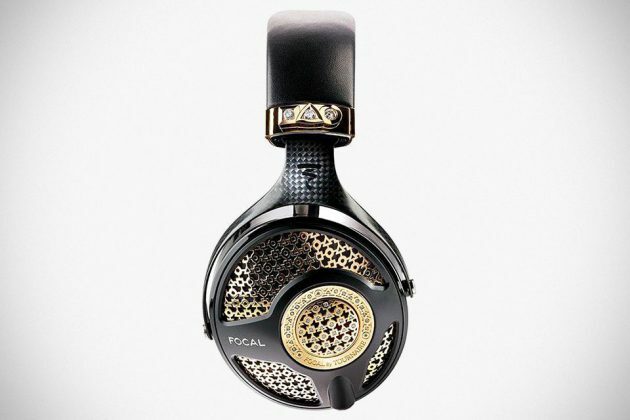 For those with the penchant for the luxury and sweet audio reproduction, a pair of audiophile headphones wouldn’t be suffice, which is why there’s the Focal Utopia by Tournaire. Focal is renowned for its sound quality, but not nearly enough to satisfy folks with a taste of the ultimate in luxury (read: folks who won’t bat an eyelid swallowing ounces after ounces of Almas caviar) and therefore, the audio equipment maker look to father and son, Philippe and Mathieu Tournaire of Tournaire to give it its high-end open-back headphones the bling that would satisfy even the most demanding, music-loving Scrooge McDuckians. 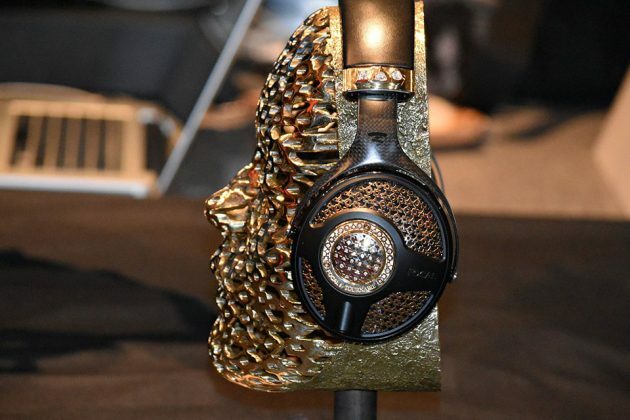 Unveiled in June 2016, the Focal Utopia by Tournaire’s sleek design is boosted by handcrafted Tournaire jewellers’ symbol coated in 18k gold (but, of course) and embellished with luxe-requisite diamonds – totalling 6.5 carats. 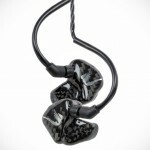 Beyond the glamorous glitter, is a bunch of audiophile engineering and luxe comfort you expect of a Utopia and these includes an open back design, 40 mm full-range drivers with pure Beryllium “M” shape dome, a frequency response of between 5Hz and 50kHz, dual shielded Lemo connectors with self-locking bayonet system, quarter-inch Neutrik stereo jack connector, 13.1 feet OFC shielded cable, leather headband paired to carbon fiber yoke, and earcups with a bi-material construction comprising of true lambskin and microfiber fabric. 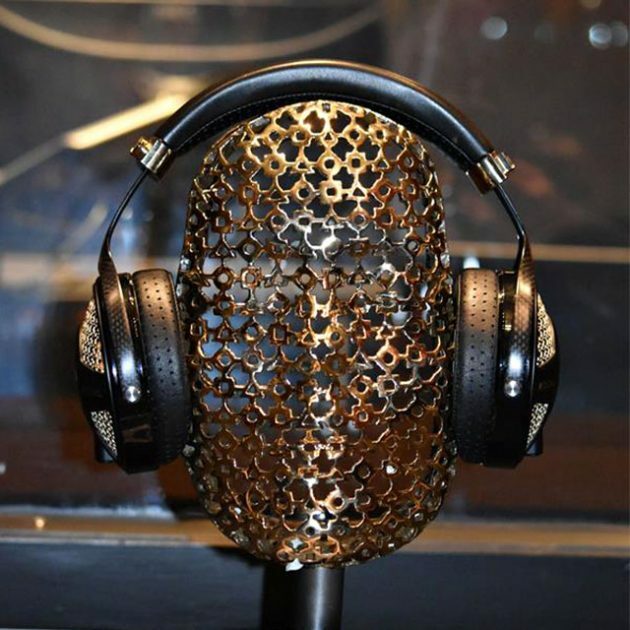 And finally, here a good news for all richie rich out there: the Focal Utopia by Tournaire Open-backed Circum Aural Headphones can be yours to own, for a princely sum of €100,000 (around US$105,000). For €10k more, you will also bag yourself a dedicated stand to hold up your prized acquisition. 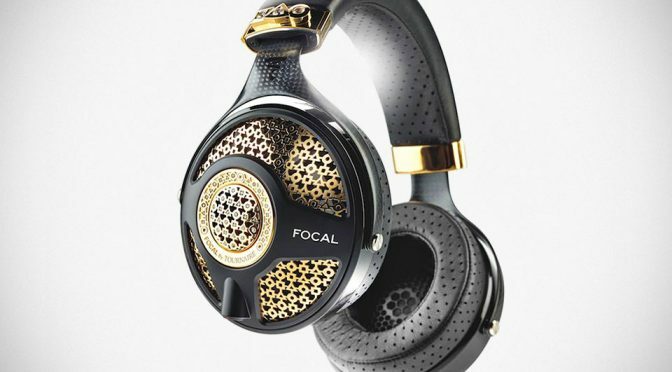 The Focal Utopia by Tournaire Open-backed Circum Aural Headphones will be making to CanJam Singapore 2017, a global premier headphone audio expo, happening between March 11 and 12 at the Pan Pacific Singapore. So, if you haven’t see it in person at Tournaire’s Paris boutique and you happen to be in and around Singapore, you can finally ogle over it in person (but keep the saliva to yourself). 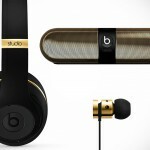 Keep going for a video intro of this very high-end headphones. 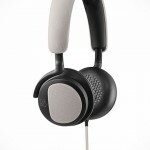 All images courtesy of Focal.